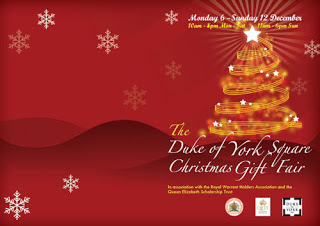 Christmas Market Chalets will be in full force at the Duke of York Square which is taking place from 6th – 12th December. The Hive Honey Shop have been invited by QEST (Queen Elizabeth Scholarship Trust) to take part in a special one off event. The Hive Honey Shop was honoured by a Scholarship Award from Queen Elizabeth the Queen Mother and the Royal Warrant Holders for our work with Bees and Beekeeping. Since that time QEST has continued to provide wonderful support and assistance. There will be many past QEST scholars and Royal Warrant Holders at the exhibition who produce some fantastic and very interesting exhibits. There will be decorated alpine chalets displaying truly unique items from all over Briton. This is a rare chance to meet the scholars and purchase their items just in time for Christmas. On Tuesday 7th and Wednesday 8th there will have the renowned Children Choir Theotokos performing carols, The 42 young choristers, dressed in popular costumes, will sing Romanian and international carols and enchant the various audiences at the fair before continuing their tour to Edinburgh, Aberdeen, Glasgow. Saturday 11th the Holland Opera consisting of 40 singers will grace the square, a performance not to miss! The Christmas lights are on from 6th November, there will be a Christmas tree in Duke of York square. A really festive feel to get us all in the Christmas mood! See you there!